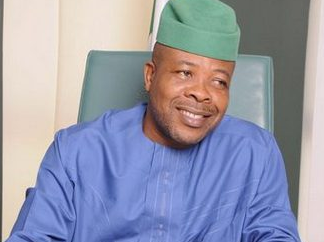 Imo State governor-elect, Chief Emeka Ihedioha has reassured the citizenry that he will see and treat the entire state as his constituency. Ihedioha gave the assurance when he addressed the congregation at Saint Michael’s and All Angels Cathedral, Ezinihitte, Mbaise, during a thanksgiving service organized by the Anglican Diocese of Mbaise to celebrate his victory at the polls. “I want to reiterate my earlier promise that I will adopt the entire state as my constituency. I am also committed to upholding fairness, equity and justice in handling the affairs of the state”, Ihedioha promised. While commending the Diocesan Bishop, Rt. Rev. Chamberlain Ogunedo, priests and laity for putting together the event, Chief Ihedioha also promised that “as a soldier of Christ, I shall remain a good ambassador of the Anglican Communion”. Describing his victory in the election as “a victory for democracy in Imo State”, Chief Ihedioha stressed that “it was reassuring that the people of Owerri, Orlu and Okigwe collectively voted massively for me”. He promised not disappoint the citizenry but would rather sustain his adoption of Imo State as his political constituency, adding that “I will as much as possible, uphold the principles of fairness, equity and justice for all in the state”. Vanguard recalls that there were a number of highpoints at the event, including the gift of a Bible from the Christian Fathers Organization of the Diocese to Chief Ihedioha. Meanwhile, the Imo State governor-elect, Emeka Ihedioha has set up his inauguration planning committee ahead of May 29th official swearing-in ceremony as the next governor of Imo state. The media aide to the governor-elect, Chibuike Onyeukwu discolsed this yesterday in a statement to newsmen in Owerri, adding that the members of the committee will be inaugurated today, April 9, 2019. In the release, the committee which has Chris Okewulonu as the chairman; Jones Onyereri as deputy chairman and Ray Emeana as secetary has also been divided into 12 other committees.